Franklin Medical Center, located in Winnsboro, Louisiana, is a 37 bed PPS hospital. 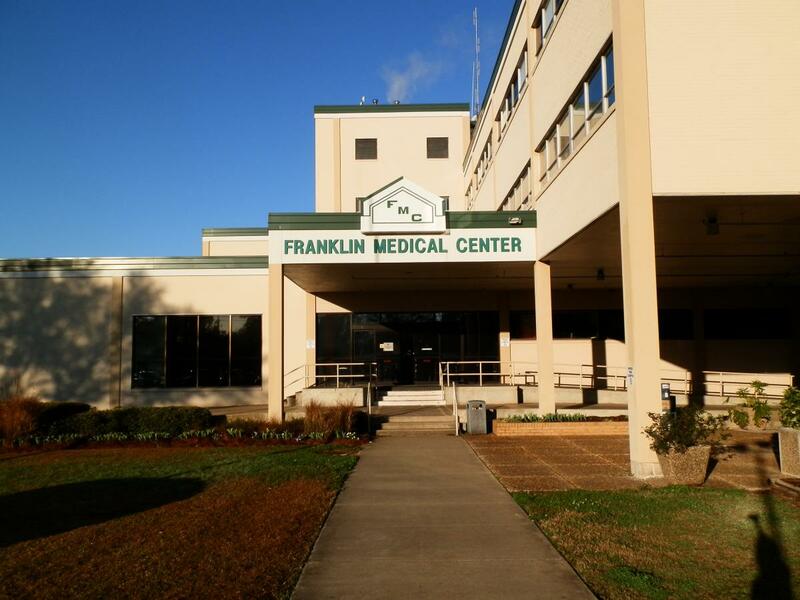 Franklin Medical Center has been a part of Franklin Parish since 1970 and the hospital has proudly provided healthcare to this area of Louisiana for 40 years. They started small and have grown over the years but continue to remain dedicated to providing the citizens of Franklin Parish with a service that is dear to all. By keeping up with the latest medical techniques and equipment this hospital is one of the leading medical facilities in this region. They offer acute primary care, behavioral health, emergency care, infusion therapy, general surgery, intensive care and radiology. Mary Guyot, Principal with Stroudwater Associates, worked with Franklin Medical Center in 2013 on a Core Measures and HCAHPS project. RHPI spoke with Blake Kramer, Administrator, in January of this year concerning their progress. Q: Why did you choose to focus on Core Measures and HCAHPS for your RHPI project? A: It's an area we felt that isn't suitable for a cut and paste solution from a white paper. We needed an objective third party to come in and look at the specific case of our staff, our facility, and our situation. A: At least half the recommendations have been implemented. At the onset of project execution, the hospital experienced some significant turnover in key positions, so there has been some focus on getting those replacements educated and adapted to their new roles. HCAHPS recommendations have been fully implemented and we are working with the vendor to get feedback more quickly. Having noticed that a bad ER experience can color a whole stay, we implemented a real-time electronic survey system in the emergency room. We made some improvements to the actual hospital building and have been getting positive comments from staff regarding that. We began sending thank-you notes to the outpatients. Regarding discharge planning, we decided that case management needs to take a bigger, more significant role. We merged QI and case management and are still getting the new director of case management up to speed. There is more cultural buy-in to the changes and staff are realizing that the changes are inevitable and they need to make a decision about getting on board. Core measure interventions are being hardwired. That takes time, but it's worth it. A new physician just out of residency has joined the team and is very aware of the importance of core measures. A: Both Heart Failure (1 and 2) Core Measures have increased. The first from a pre-project value of 80% to post-project of 100% and the second HF from 84.6% to 92.9%. The pneumonia measure (PN-6) continues to be a work in progress. HCAHPS measures also have increased. 'Overall rate of hospital' has moved from 65% to 71.3% and 'willingness to recommend' moved from 61% to 71.5%. The hospital plans to also track the impact of this project on readmission rate but those numbers are not yet available. Q: What are the expected next steps towards adopting your consultant's recommendations? Is there a sustainability plan? A: We will continue to enforce accountability and provide staff education. We will also increase community outreach to determine issues that can impact the patient experience and HCAHPS. A: We'd probably take certain things a bit slower. We implemented some of these measures while undergoing some staff turnover and that complicated things a bit. We've been more cognizant of small details that can change the patient experience. Enforcement of accountability has increased buy-in from the staff and led to a greater awareness of how their actions can affect the financial aspects of the hospital's public perception. There is an understanding among both staff and community that, regardless of how long or how difficult the process, we are going to get these things right and nothing will make us change course. It is inevitable. Community perception is much better per word of mouth and patients stopping staff in halls - that did not happen much in the past.